Coming back from being sick, thank goodness. Yesterday we laid low, and I got a little scrapbooking in. 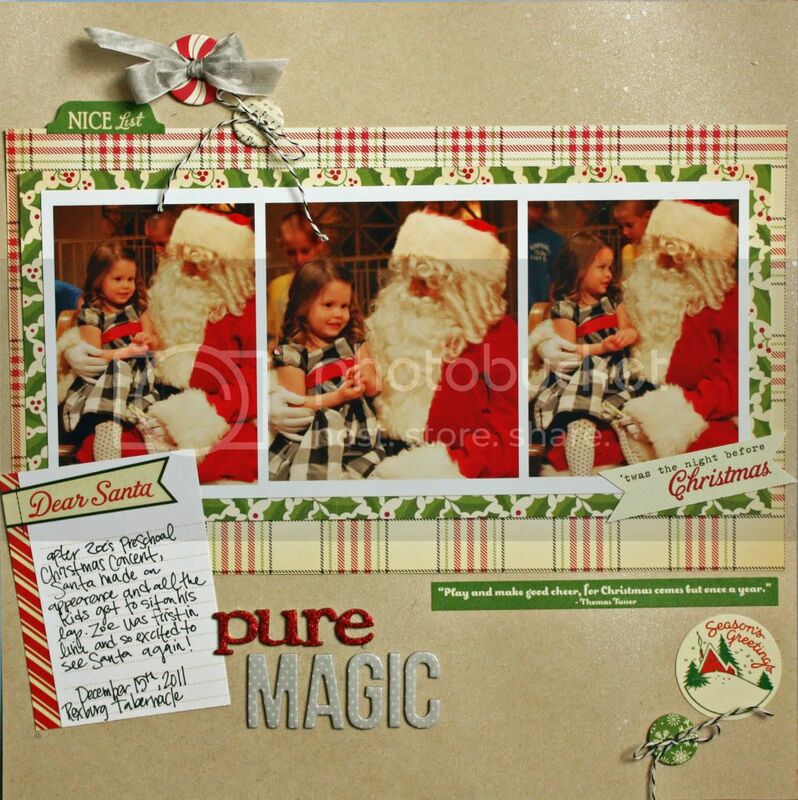 I made this page using some Elle's Studio tags and some October Afternoon Holiday Style.